Dato’ Paduka Ir. (Dr.) Hj. 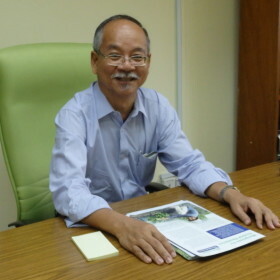 Keizrul bin Abdullah is the Chairperson of the Council of Wetlands International Malaysia. He has been involved in the field of water and water resources engineering for the past 37 years. He graduated in Civil Engineering from the University of Malaya and joined the Department of Irrigation and Drainage Malaysia where over an illustrious career, he rose to become the Director General in 1997 until his retirement from public service eleven years later. As Director General, he pushed for a more environment-friendly approach to solving water issues and advocated the need to manage water, river, flood and coastal problems in a holistic and integrated manner. He was responsible for initiating a number of rehabilitation and restoration projects to “bring nature back to the rivers” and introduced a control at source approach for urban storm water management (MSMA). He oversaw the development of a Flood Mitigation Master Plan for Kuala Lumpur and managed the SMART Tunnel Project (a unique and innovative flood mitigation project utilising a tunnel for both flood and traffic use) from conception to commissioning. The SMART Tunnel Project is one of only two engineering projects in Malaysia to be showcased in both the National Geographic and the Discovery Channels, the other being the Petronas Twin Towers. After his retirement from public service, Ir. Keizrul continues to be active in professional activities. He is the Chairperson of the Network of Asian River Basin Organisations (NARBO); Wetlands International Malaysia; and the Malaysian Green Technology Corporation, a company limited by guarantee under the Ministry of Energy, Green Technology and Water Malaysia. He is a Member of the OIC Advisory Panel on Water tasked to identify major challenges, priorities and framework for future cooperation on water issues with a view to developing a Water Vision for the OIC. He is a member of the Technical Advisory Committee for the 2012 edition of the United Nations’ “Water for Life” Best Practices Award. He was the moderator and facilitator of UNESCO’s Session on ‘Strengthening River Basin Governance in the Asia-Pacific Region’ at the 6th World Water Forum in Marseille, France in March 2012. Ir. Keizrul continues to accept invitations to share his knowledge and experience on issues relating to green technology, the environment, water and water related natural disasters, and on professional engineering issues. He was appointed Adjunct Professor with Tenaga University Malaysia (UniTen) and University of Malaysia Pahang (UMP), where he delivered a series of lectures under the theme “Water, Engineering and Life”, highlighting the importance of water on life and society and how engineering knowledge is being used to create a better quality of life for all. In recognition of his contributions, Ir. Keizrul was awarded a Doctorate in Engineering (Honoris Causa) from the University of Science Malaysia; conferred the IEM Honorary Fellowship as well as the IEM Award for Contribution to the Engineering Profession in Malaysia; and at the international level, was conferred an Honorary Fellowship and the Engineering Achievement Award of the ASEAN Federation of Engineering Organisation (AFEO) and the International Society of Paddy and Water Environment (PAWEES) International Award. For his services to the nation, he has been conferred Datukships from the Federal Government and the State Governments of Penang, Kelantan and Perlis.